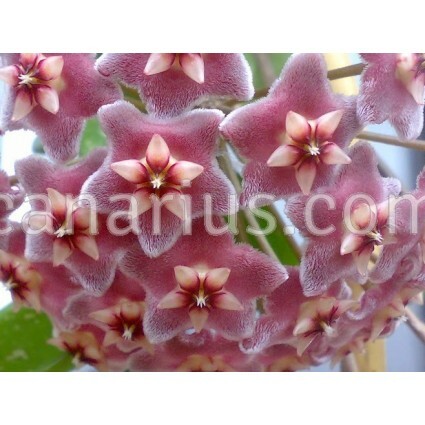 Cont.= 8,5 cm - Beautiful pink-flowered clone of Hoya pubicalyx. It is an easy growing succulent climber from the Philippines. Flowers are pink and have lots of flecks. It will grow in bright shade or morning sun. Hoya Pink Silver is a beautiful pink-flowered, Hoya selection. Hoya pubicalyx is an easy growing succulent climber from the Philippines. Flowers are pink and have lots of flecks.